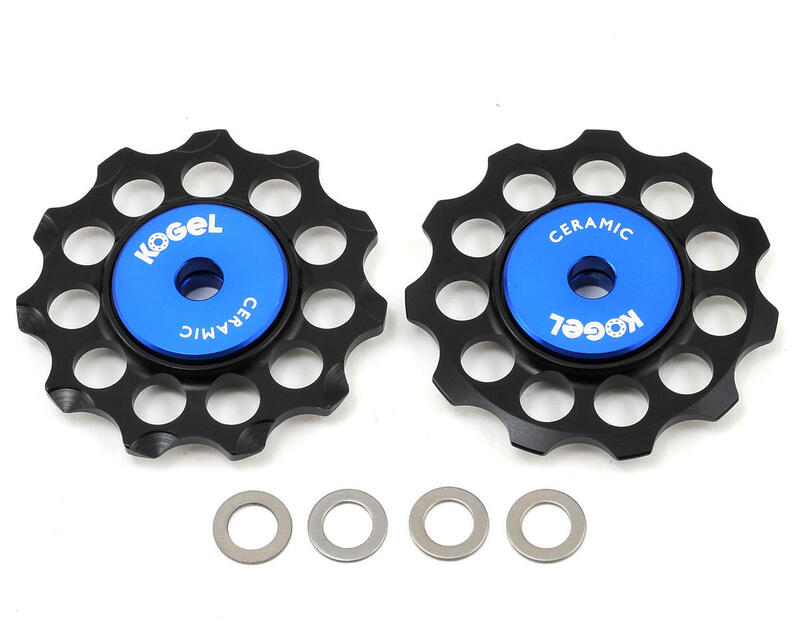 These aluminum derailleur pulleys spin on Kogel's grade 3, Abec 5 hybrid ceramic bearings. They are compatible with 11 speed Shimano, SRAM and Campagnolo derailleurs. 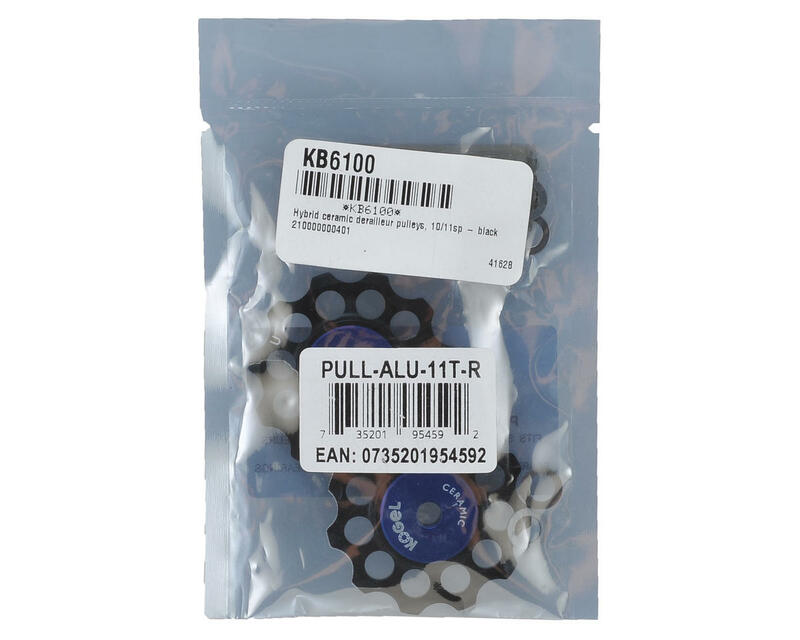 Included washers make them compatible with 10 speed Shimano and SRAM.